In early February, 2015 Islamic State released a 22 minute video depicting the burning of a captured soldier. Jordanian and U.S. officials promised swift action to the execution of First Lt. Muath al-Kasasbeh. This clearly does not conform to Islam. The development of Islamic Antinomianism is developed where jihadhi adherents rule ex cathedra. In reality the United States has been attacking it’s own citizens with Chemical Assault Scorched Earth openly since June 17, 1987. I know this first hand since the attack is imposed over only one person myself Bhakta David Nollmeyer. The hay supra will burn you hand to the touch. The Colorado River is contaminated from Blythe, California running towards Mexico. This action is the result of a Gay Militia operating form LAPD. The allegation is that Cambridge Law School are the Origin or proximate cause. It appears also that Islamic State fighters themselves are recruited with this Gay Militia. In Texas yesterday Gay Marriage was halted in Travis County after one ceremony. This alter ego confrontation will damage civilization further. This bhajana is a powerful example of Vaisnava literature. There are many variations that abound. If one wishes to do advanced research this is a respectable point of departure. This is such a beautiful expression of spiritual emotion and service. I wish I could post an audio link that would be befitting it and Srila Prabhupada’s stature while admitting my fraility in being able to make comment. I am attempting to find authority for anusilanam or Krishnanusilanam. There are spurious interests that are wishing to defame Srila Prabhupada as not promoting such which is cultivation of Krishna Consciousness at the lotus feet of the Spiritual Master. The argument also wishes to state that Srila Prabhupada also wished to supplant Caitanya Mahaprabhu not preach in his mission. In this chapter the author has fully discussed the reason for the descent of Sri Caitanya Mahaprabhu. The Supreme Personality of Godhead, Lord Sri Krsna, after displaying His pastimes as Lord Krsna, thought it wise to make His advent in the form of a devotee to explain personally the transcendental mellow reciprocations of service and love between Himself and His servants, friends, parents and fiancees. According to the Vedic literature, the foremost occupational duty for humanity in this Age of Kali is nama-sankirtana, or congregational chanting of the holy name of the Lord. The incarnation for this age especially preaches this process, but only Krsna Himself can explain the confidential loving service performed in the four principal varieties of loving affairs between the Supreme Lord and His devotees. 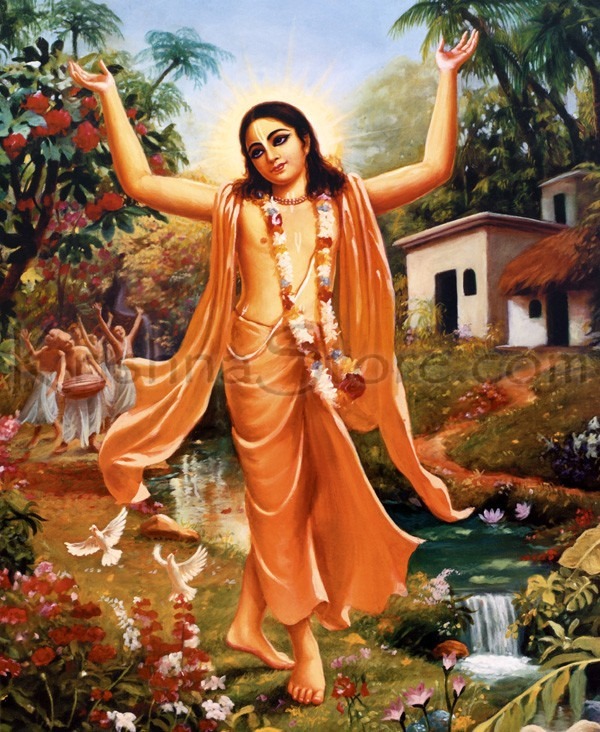 Lord Krsna therefore personally appeared, with His plenary portions, as Lord Caitanya. As stated in this chapter, only for that purpose did Lord Krsna appear personally in Navadvipa in the form of Sri Krsna Caitanya Mahaprabhu. Krsnadasa Kaviraja has herein presented much authentic evidence from Srimad-Bhagavatam and other scriptures to substantiate the identity of Lord Caitanya with Sri Krsna Himself. 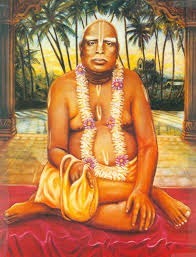 He has described bodily symptoms in Lord Caitanya that are visible only in the person of the Supreme Lord, and he has proved that Lord Caitanya appeared with His personal associates–Sri Nityananda, Advaita, Gadadhara, Srivasa and other devotees–to preach the special significance of chanting Hare Krsna. The appearance of Lord Caitanya is both significant and confidential. He can be appreciated only by pure devotees and only through the process of devotional service. The Lord tried to conceal His identity as the Supreme Personality of Godhead by representing Himself as a devotee, but His pure devotees can recognize Him by His special features. The Vedas and Puranas foretell the appearance of Lord Caitanya, but still He is sometimes called, significantly, the concealed descent of the Supreme Personality of Godhead. Advaita Acarya was a contemporary of Lord Caitanya’s father. He felt sorry for the condition of the world because even after Lord Krsna’s appearance, no one had interest in devotional service to Krsna. This forgetfulness was so overwhelming that Advaita Prabhu was convinced that no one but Lord Krsna Himself could enlighten people about devotional service to the Supreme Lord. Therefore Advaita requested Lord Krsna to appear as Lord Caitanya. Offering tulasi leaves and Ganges water, He cried for the Lord’s appearance. The Lord, being satisfied by His pure devotees, descends to satisfy them. 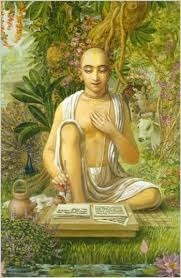 As such, being pleased by Advaita Acarya, Lord Caitanya appeared. dasya–servitude; sakhya–friendship; vatsalya–parental affection; srngara–conjugal love; cari–four; rasa–mellows; cari–four; bhavera–of the sentiments; bhakta–devotees; yata–as many as there are; krsna–Lord Krsna; tara–by them; vasa–subdued. Servitude [dasya], friendship [sakhya], parental affection [vatsalya] and conjugal love [srngara] are the four transcendental mellows [rasas]. By the devotees who cherish these four mellows, Lord Krsna is subdued. Dasya, sakhya, vatsalya and srngara are the transcendental modes of loving service to the Lord. Santa-rasa, or the neutral stage, is not mentioned in this verse because although in santa-rasa one considers the Absolute Truth the sublime great, one does not go beyond that conception. Santa-rasa is a very grand idea for materialistic philosophers, but such idealistic appreciation is only the beginning; it is the lowest among the relationships in the spiritual world. Santa-rasa is not given much importance because as soon as there is a slight understanding between the knower and the known, active loving transcendental reciprocations and exchanges begin. Dasya-rasa is the basic relationship between Krsna and His devotees; therefore this verse considers dasya the first stage of transcendental devotional service. dasa–servants; sakha–friends; pita-mata–father and mother; kanta-gana–lovers; lana–taking; vraje–in Vraja; krida kare–plays; krsna–Lord Krsna; prema-avista–absorbed in love; hana–being. Absorbed in such transcendental love, Lord Sri Krsna enjoys in Vraja with His devoted servants, friends, parents and conjugal lovers. The descent of Sri Krsna, the Absolute Personality of Godhead, is very purposeful. In the Bhagavad-gita it is said that one who knows the truth about Sri Krsna’s descent and His various activities is at once liberated and does not have to fall again to this existence of birth and death after he leaves his present material body. In other words, one who factually understands Krsna makes his life perfect. Imperfect life is realized in material existence, in five different relationships we share with everyone within the material world: neutrality, servitorship, friendship, filial love, and amorous love between husband and wife or lover and beloved. These five enjoyable relationships within the material world are perverted reflections of relationships with the Absolute Personality of Godhead in the transcendental nature. That Absolute Personality, Sri Krsna, descends to revive the five eternally existing relationships. Thus He manifests His transcendental pastimes in Vraja so that people may be attracted into that sphere of activities and leave aside their imitation relationships with the mundane. Then, after fully exhibiting all such activities, the Lord disappears. By the sacrifice of the congregational chanting of the holy name, I worship the deliverer of the living entities of Kali-yuga, Sri Gaurangadeva, who constantly sings the name of Krsna. Although His complexion is not blackish, He is Krsna Himself. He is accompanied by His angas (bodily limbs in the form of Nityananda and Advaita Prabhu), upangas (parts of limbs like Srivasa Pandita), astra (weapon in the form of the holy name), and parsada (associates like Svarupa Damodara, Raya Ramananda, Gadadhara, and Govinda). When will the son of Sacimata appear within the path of my eyes? He has accepted the Gaudiya Vaisnavas, who are like bees at His lotus feet, as His personal associates. Like a father, He gave them instructions to chant the Hare Krsna maha-mantra counting a fixed number of rounds. The Supreme Absolute Truth, Sri Hari, has manifested His golden form in Navadvipa to deliver the living entities of Kali-yuga. Along with His associates, He has given the treasure of love of God by introducing the chanting of the holy names of the Lord the religious practice for the age of Kali. Congregational chanting of the holy names of the Lord is an eternal activity of the living entity. All other religious activities are meant to help one attain perfection in chanting the holy names. Whatever fruit can be obtained in Satya-yuga by devotedly worshiping Sri Hari through the performance of hundreds of sacrifices, that same result can be obtained in Kali-yuga simply by Govinda kirtana. Simply by once chanting the holy name of Hari, a sinful man can counteract the reactions to more sins than he is able to commit.There is no atonement equal to chanting the holy names. Therefore, intelligent persons give up all other occupational duties mentioned in the Vedas. By performance of austerities, remembrance of the Lord is difficult to attain. However, simply by moving one’s lips one can easily perform kirtana. Even without moving the lips one may remember the holy names. By such chanting and remembering of the holy names one can achieve all perfection. Therefore, all the sastras have established that chanting and remembering the holy names is superior to the process of arcana. samäm—equally level; ca—also; kuru—make; mäm—me; räjan—O King; deva-våñöam—fallen as rain by the mercy of King Indra; yathä—so that; payaù—water; apa-åtau—when the rainy season has ceased; api—even; bhadram—auspiciousness; te—unto you; upävarteta—it can remain; me—on me; vibho—O Lord. My dear King, may I inform you that you have to make the entire surface of the globe level. This will help me, even when the rainy season has ceased. Rainfall comes by the mercy of King Indra. Rainfall will remain on the surface of the globe, always keeping the earth moistened, and thus it will be auspicious for all kinds of production. King Indra of the heavenly planets is in charge of throwing thunderbolts and giving rainfall. Generally thunderbolts are thrown on the tops of hills in order to break them to pieces. As these pieces are spread asunder in due course of time, the surface of the globe gradually becomes fit for agriculture. Level land is especially conducive to the production of grain. Thus the planet earth requested Mahäräja Påthu to level the surface of the earth, breaking up the high land and mountains. The gopis, the young girls, serve Krsna in conjugal love. Above all of these are Srimati Radharani and Her assistants, the gopis Lalita, Visakha and others, who embody conjugal love. In this way all five mellows santa, dasya, sakhya, vatsalya and madhurya exist eternally in Vrajabhumi. They are compared respectively to copper, bell metal, silver, gold and touchstone, the basis of all metals. Srila Kaviraja Gosvami therefore refers to a mine eternally existing in Vrndavana, Vrajabhumi. In the madhurya-rasa, one can become like Srimati Radharani or Her lady friends such as Lalita, and Her serving maids (manjaris) like Rupa and Rati. In conjugal love there are the damsels of Vraja, Vrndavana, and the queens and goddesses of fortune in Dwarka. No one can count the vast number of devotees in this rasa. “It appears that Krsna enjoyed the rasa dance with the gopis when He was eight years old. At that time, many of the gopis were married, because in India, especially in those days, girls were married at a very early age. There are even many instances of a girl giving birth to a child at the age of twelve. Under the circumstances, all the gopis who wanted to have Krsna as their husband were already married. At the same time, they continued to hope that Krsna would be their husband. Their attitude toward Krsna was that of paramour love. Therefore, the loving affairs of Krsna with the gopis are called parakiya-rasa. A married man who desires another wife or a wife who desires another husband is called parakiya-rasa. Actually, Krsna is the husband of everyone because He is the supreme enjoyer. The gopis wanted Krsna to be their husband, but factually there was no possibility of His marrying all the gopis. But because they had that natural tendency to accept Krsna as their supreme husband, the relationship between the gopis and Krsna is called parakiya-rasa. This parakiya-rasa is ever-existent in Goloka Vrndavana in the spiritual sky where there is no possibility of the inebriety which characterizes parakiya-rasa in the material world. In the material world, parakiya-rasa is abominable, whereas in the spiritual world it is present in the superexcellent relationship of Krsna and the gopis. There are many other relationships with Krsna: master and servant, friends and friend, parent and son, and lover and beloved. Out of all these rasas, the parakiya-rasa is considered to be the topmost. 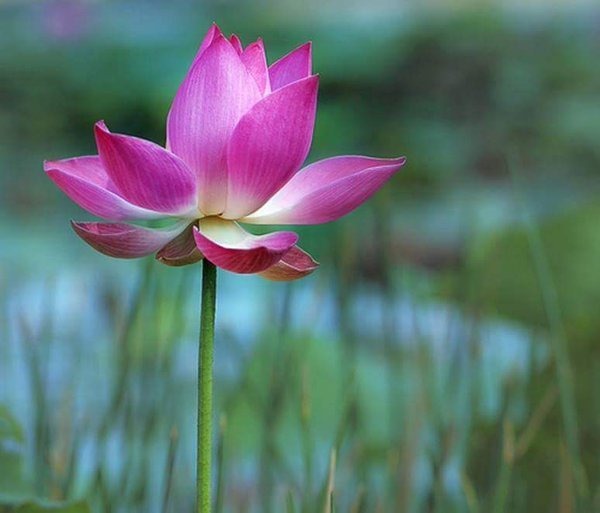 This material world is the perverted reflection of the spiritual world; it is just like the reflection of a tree on the bank of a reservoir of water: the topmost part of the tree is seen as the lowest part. Similarly, parakiya-rasa, when pervertedly reflected in this material world, is abominable. When people, therefore, imitate the rasa dance of Krsna with the gopis, they simply enjoy the perverted, abominable reflection of the transcendental parakiya-rasa. There is no possibility of enjoying this transcendental parakiya-rasa within the material world. It is stated in Srimad Bhagavatam that one should not imitate this parakiya-rasa even in dream or imagination. Those who do so drink the most deadly poison. “Devotional service following in the footsteps of the gopis of Vrindaban or the queens at Dwarka is called devotional service in conjugal love. This devotional service in conjugal love can be divided into two categories. One is indirect conjugal love, the other direct. In both of these categories, one has to follow the particular gopi who is engaged in such service in Goloka Vrindaban. To be directly attached to the Supreme Personality of Godhead in conjugal love is technically called keli. This keli performance means to directly join with the Supreme Personality of Godhead. There are other devotees who do not wish direct contact with the Supreme Person, but who relish the conjugal love affairs of the Lord with the gopis. Such devotees enjoy simply by hearing of the activities of the Lord with the gopis. This development of conjugal love can be possible only with those who are already engaged in following the regulative principles of devotional service, specifically in the worship of Radha and Krsna in the temple. Such devotees gradually develop a spontaneous love for the Deity, and by hearing of the Lord’s exchange of loving affairs with the gopis, they gradually become attracted to these pastimes. After this spontaneous attraction becomes highly developed, the devotee is placed in either of the above mentioned categories. This development of conjugal love for Krsna is not manifested in women only. The material body has nothing to do with spiritual loving affairs. A woman may develop an attitude for becoming a friend of Krsna, and, similarly, a man may develop the feature of becoming a gopi in Vrindaban. How a devotee in the form of a man can desire to become a gopi is stated in the Padma Purana as follows: In days gone by there were many sages in Dandakaranya. Dandakaranya is the name of the forest where Lord Ramacandra lived after being banished by His father for fourteen years. At that time there were many advanced sages who were captivated by the beauty of Lord Ramacandra and who desired to become women in order to embrace the Lord. Later on, these sages appeared in Goloka Vrindaban when Krsna advented Himself there, and they were born as gopis, or girl friends of Krsna. In this way they attained the perfection of spiritual life. The story of the sages of Dandakaranya can be explained as follows. When Lord Ramacandra was residing in Dandakaranya, the sages who were engaged in devotional service there became attracted by His beauty and immediately thought of the gopis at Vrindaban, who enjoyed conjugal loving affection with Krsna. In this instance it is clear that the sages of Dandakaranya desired conjugal love in the manner of the gopis, although they were well aware of the Supreme Lord as both Krsna and Lord Ramacandra. They knew that although Ramacandra was an ideal king and could not accept more than one wife, Lord Krsna, being the full fledged Personality of Godhead, could fulfill the desires of all of them in Vrindaban. These sages also concluded that the form of Lord Krsna is more attractive than that of Lord Ramacandra, and so they prayed to become gopis in their future lives to be associated with Krsna. Lord Ramacandra remained silent, and His silence shows that He accepted the prayers of the sages. Thus they were blessed by Lord Ramacandra to have association with Lord Krsna in their future lives. As a result of this benediction, they all took birth as women in the wombs of gopis at Gokula, and as they had desired in their previous lives, they enjoyed the company of Lord Krsna, who was present at that time in Gokula Vrindaban. The perfection of their human form of life was thus achieved by their generating a transcendental sentiment to share conjugal love with Lord Krsna. Conjugal love is divided into two classifications namely, conjugal love as husband and wife and conjugal love as lover and beloved. One who develops conjugal love for Krsna as a wife is promoted to Dwarka, where the devotee becomes the queen of the Lord. One who develops conjugal love for Krsna as a lover is promoted to Goloka Vrindaban, to associate with the gopis and enjoy loving affairs with Krsna there. We should note carefully, however, that this conjugal love for Krsna, either as gopi or as queen, is not limited only to women. Even men can develop such sentiments, as was evidenced by the sages of Dandakaranya. If someone simply desires conjugal love, but does not follow in the footsteps of the gopis, he is promoted to association with the Lord at Dwarka. Genocide is a process that develops in eight stages that are predictable but not inexorable. At each stage, preventive measures can stop it. The later stages must be preceded by the earlier stages, though earlier stages continue to operate throughout the process. All cultures have categories to distinguish people into us and them by ethnicity, race, religion, or nationality: German and Jew, Hutu and Tutsi. Bipolar societies that lack mixed categories, such as Rwanda and Burundi, are the most likely to have genocide. The main preventive measure at this early stage is to develop universalistic institutions that transcend ethnic or racial divisions, that actively promote tolerance and understanding, and that promote classifications that transcend the divisions. The Catholic Church could have played this role in Rwanda, had it not been driven by the same ethnic cleavages as Rwandan society. Promotion of a common language in countries like Tanzania or Cote d’Ivoire has also promoted transcendent national identity. This search for common ground is vital to early prevention of genocide. We give names or other symbols to the classifications. We name people Jews or Gypsies, or distinguish them by colors or dress; and apply them to members of groups. Classification and symbolization are universally human and do not necessarily result in genocide unless they lead to the next stage, dehumanization. When combined with hatred, symbols may be forced upon unwilling members of pariah groups: the yellow star for Jews under Nazi rule, the blue scarf for people from the Eastern Zone in Khmer Rouge Cambodia. To combat symbolization, hate symbols can be legally forbidden (swastikas) as can hate speech. Group marking like gang clothing or tribal scarring can be outlawed, as well. The problem is that legal limitations will fail if unsupported by popular cultural enforcement. Though Hutu and Tutsi were forbidden words in Burundi until the 1980’s, codewords replaced them. If widely supported, however, denial of symbolization can be powerful, as it was in Bulgaria, when many non Jews chose to wear the yellow star, depriving it of its significance as a Nazi symbol for Jews. According to legend in Denmark, the Nazis did not introduce the yellow star because they knew even the King would wear it. One group denies the humanity of the other group. Members of it are equated with animals, vermin, insects or diseases. Dehumanization overcomes the normal human revulsion against murder. At this stage, hate propaganda in print and on hate radios is used to vilify the victim group. In combating this dehumanization, incitement to genocide should not be confused with protected speech. Genocidal societies lack constitutional protection for countervailing speech, and should be treated differently than in democracies. Hate radio stations should be shut down, and hate propaganda banned. Hate crimes and atrocities should be promptly punished. Genocide is always organized, usually by the state, though sometimes informally (Hindu mobs led by local RSS militants) or by terrorist groups. Special army units or militias are often trained and armed. Plans are made for genocidal killings. To combat this stage, membership in these militias should be outlawed. Their leaders should be denied visas for foreign travel. The U.N. should impose arms embargoes on governments and citizens of countries involved in genocidal massacres, and create commissions to investigate violations, as was done in post genocide Rwanda. Extremists drive the groups apart. Hate groups broadcast polarizing propaganda. Laws may forbid intermarriage or social interaction. Extremist terrorism targets moderates, intimidating and silencing the center. Prevention may mean security protection for moderate leaders or assistance to human rights groups. Assets of extremists may be seized, and visas for international travel denied to them. Coups d’etat by extremists should be opposed by international sanctions. Victims are identified and separated out because of their ethnic or religious identity. Death lists are drawn up. Members of victim groups are forced to wear identifying symbols. They are often segregated into ghettoes, forced into concentration camps, or confined to a famine struck region and starved. At this stage, a Genocide Alert must be called. If the political will of the U.S., NATO, and the U.N. Security Council can be mobilized, armed international intervention should be prepared, or heavy assistance to the victim group in preparing for it’s selfdefense. Otherwise, at least humanitarian assistance should be organized by the U.N. and private relief groups for the inevitable tide of refugees. Extermination begins, and quickly becomes the mass killing legally called genocide. It is extermination to the killers because they do not believe their victims to be fully human. When it is sponsored by the state, the armed forces often work with militias to do the killing. Sometimes the genocide results in revenge killings by groups against each other, creating the downward whirlpool like cycle of bilateral genocide (as in Burundi). At this stage, only rapid and overwhelming armed intervention can stop genocide. Real safe areas or refugee escape corridors should be established with heavily armed international protection. The U.N. needs a Standing High Readiness Brigade or a permanent rapid reaction force, to intervene quickly when the U.N. Security Council calls it. For larger interventions, a multilateral force authorized by the U.N., led by NATO or a regional military power, should intervene. If the U.N. will not intervene directly, militarily powerful nations should provide the airlift, equipment, and financial means necessary for regional states to intervene with U.N. authorization. It is time to recognize that the law of humanitarian intervention transcends the interests of nation states. Denial is the eighth stage that always follows a genocide. It is among the surest indicators of further genocidal massacres. The perpetrators of genocide dig up the mass graves, burn the bodies, try to cover up the evidence and intimidate the witnesses. They deny that they committed any crimes, and often blame what happened on the victims. They block investigations of the crimes, and continue to govern until driven from power by force, when they flee into exile. There they remain with impunity, like Pol Pot or Idi Amin, unless they are captured and a tribunal is established to try them. The best response to denial is punishment by an international tribunal or national courts. There the evidence can be heard, and the perpetrators punished. Tribunals like the Yugoslav, Rwanda, or Sierra Leone Tribunals, an international tribunal to try the Khmer Rouge in Cambodia, and ultimately the International Criminal Court must be created. They may not deter the worst genocidal killers. But with the political will to arrest and prosecute them, some mass murderers may be brought to justice.